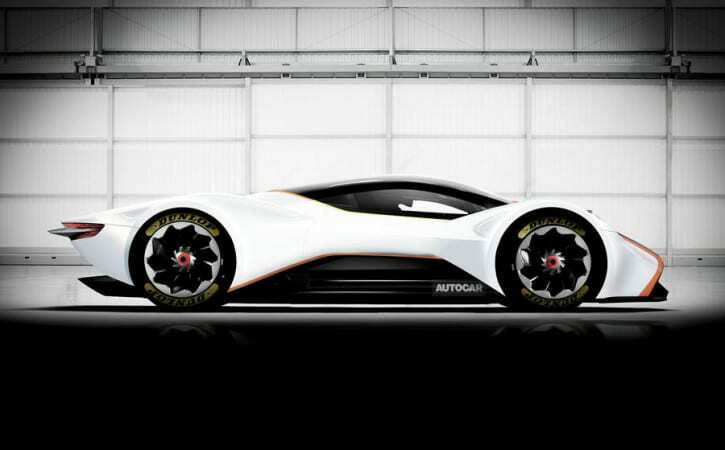 Aston Martin and Red Bull showed a full-sized model of their AM-RB 001 hypercar to prospective owners at last month’s Monaco Grand Prix, and it is set to make its public debut today. The models to be shown are all clay or plastic at this stage, according to Aston Martin boss Andy Palmer, but they are “70% to 80% there in terms of appearance” and will lead to working prototypes by spring next year before the model is officially launched in the summer of 2018. “We have a full-sized model of the surfaces as they stand, which is going through regulatory validation, so we’re checking things such as seat position, eye position and visibility,” Palmer told Autocar. Just 99 cars will be built. The AM-RB 001 will be sold in certain markets only, according to Aston Martin design chief Marek Reichman, because “it’s difficult at that low volume to homologate all the markets in the world”. Talking about the car’s design, Reichman described it as “incredibly pure, incredibly simple”. Reichman said the AM-RB 001 is extreme at many levels but the design isn’t. “I love beautiful forms, so this is allowing an incredibly dramatic yet simple form,” he said. Few technical details have been revealed, but Palmer has confirmed the car will be mid-engined. We also know it’s going to be a petrol-electric hybrid, probably with simplified versions of the performance-boosting electric motors and energy recovery systems of World Endurance Championship and F1 cars. Reichman confirmed that the AM-RB 001 would be slightly heavier than an LMP1 race car, which weighs 900kg and produces 1000bhp.